Founded at the end of the swinging sixties in Londontown, Time Out eventually became the global player it is known for today by giving recommendations about what to see, eat and visit in more than one hundred cities worldwide with a transition from printed to a fully digital medium. The time had come again to raise a glass to the best in the pub business of Sydneytown with the annual Time Out Pub Awards. 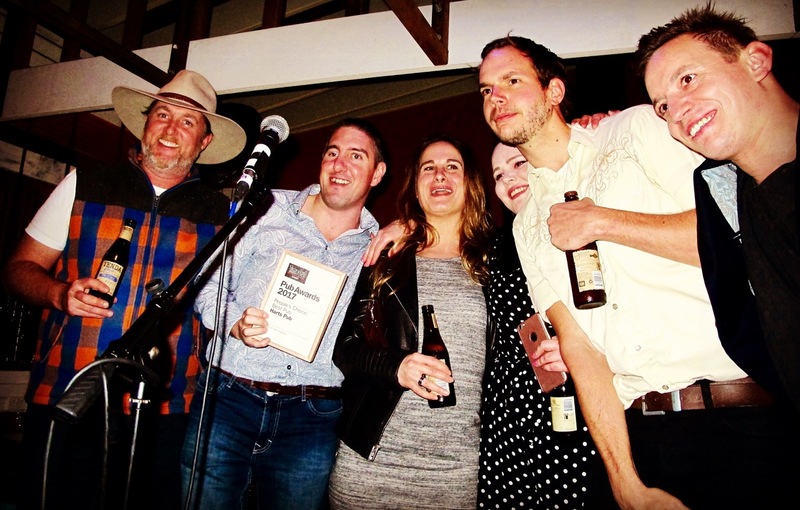 Held at Newtown’s iconic late-night hotel at the tipping point of King Street, Bank’s hotel, Yenda beers, bottles of Hills Cider Company’s fruity emissions and other vessels filled with James Estate Wines were raised to toast to the city’s best local haunts, best “counter” meals and more as the 2017 Pub of the Year was crowned. Hosted by Ben Jenkins, known from Story Club and The Checkout on the ABC, the shindig was serenaded by tunes courtesy of FBI DJ Johanna Roberts. Pub grub in form of Bank’s canapés, i.e. 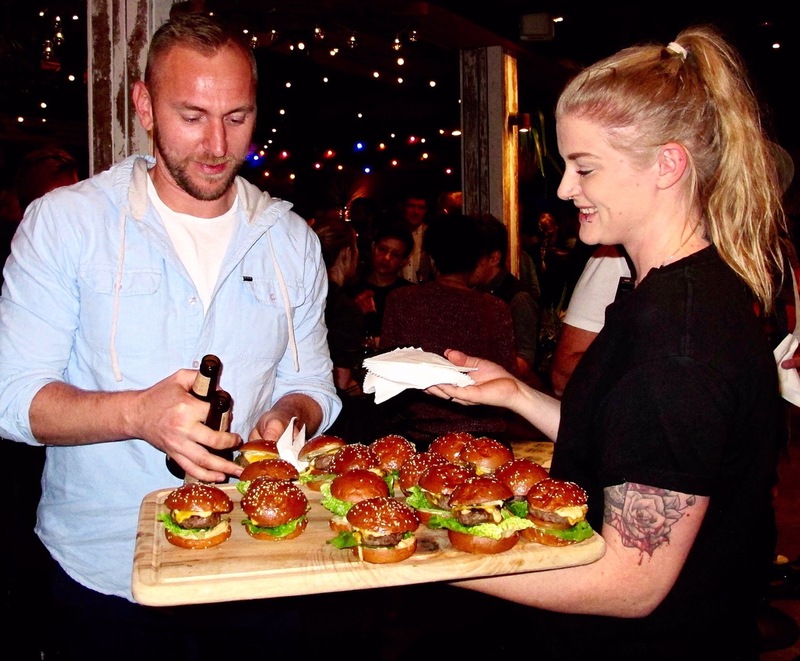 mini burgers, BBQ chicken skewers, white fish crevice and corn fritters proffered all while those pubs and publicans that provide the thirsty masses with much needed mid-week ales and a second lounge room were celebrated. 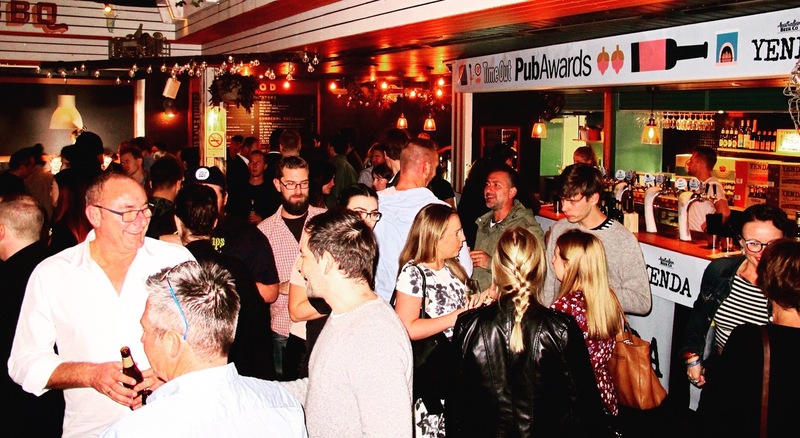 While the Time Out Pub Awards Awards have been gradually getting bigger affairs, they are nonetheless enjoyable and well organised with hundreds of industry people mingling with punters for an evening of shenanigans sustained by drinks and light fare, culimating in a snappy awards ceremony. Pub of the Year winner for 2017 was Paddington’s Unicorn Hotel – chosen for embracing both the deeply Australian elements of the local pub while showing love for Australia’s new era winemakers. 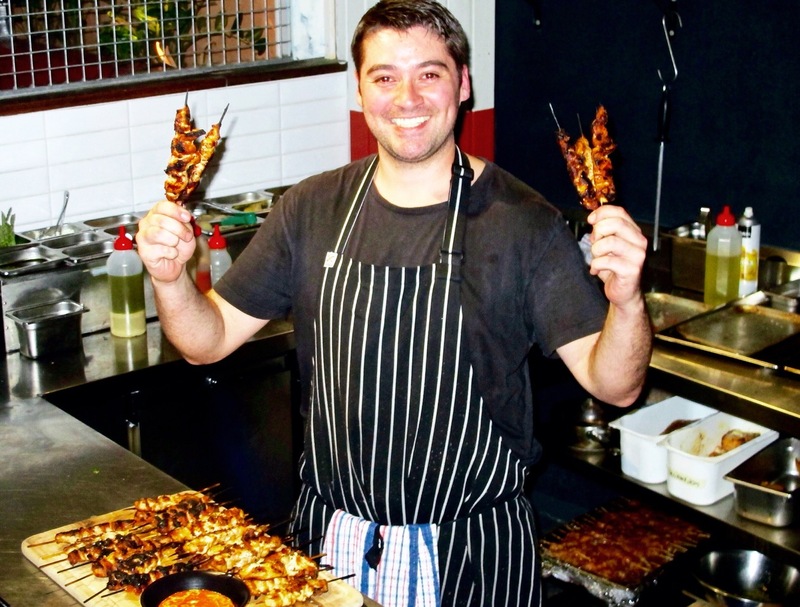 The Erko scored the award for Best Pub Food for not only nailing the staples but adding a bit of extra panache to the plate with their house-smoked meats. It was the first time the Publican of the Year award went to a female publican, i.e. Amanda Verrati from the Public House Petersham, while the Pub Revival Award went to East Village Hotel with its rooftop bar in Darlinghurst. Best Entertainment Award went to the Imperial Hotel, known to an international audience for having served as the setting for a drag performances in 1994 classic The Adventures of Priscilla, Queen of the Desert. 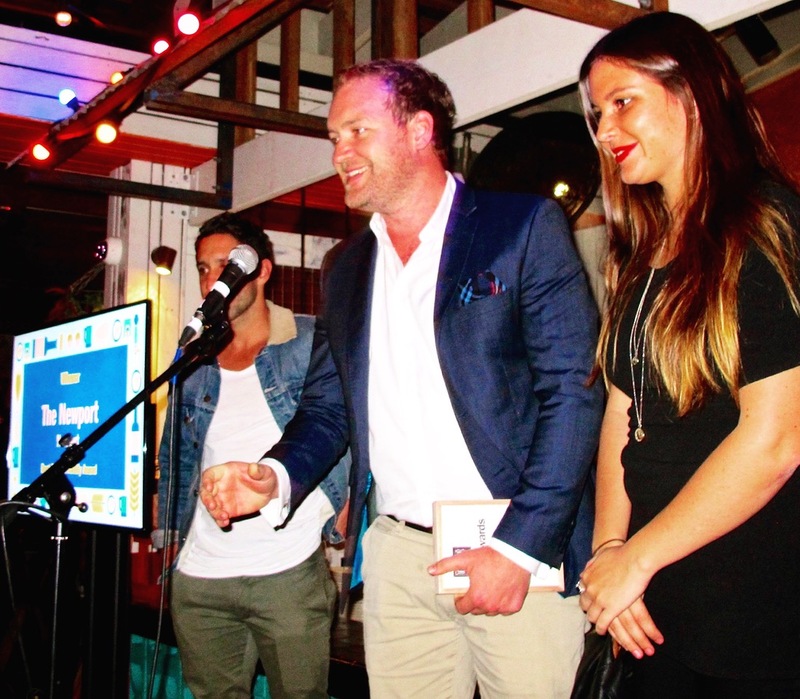 The Family-Friendly Award was given to the Newport and the Carrington Hotel in Surry Hills won the Dog-Friendly Award. Best Beer List Award went to the CBD craft beer clubhouse Beer DeLuxe. People’s Choice: Pub went to Harts Pub and People’s Choice: Regional Pub went to Lord Anson out in Orange. Finally, Time Out’s Legend Award found a home Surry Hills’ old faithful the Cricketers Arms Hotel. second homes to most, where folks go to indulge in what are some of Australia’s favourite past times - watching footy, seeing bands, meeting friends, and eating one’s body weight in chips and aioli. Guests also took home photos from fotobox and a brand new copy of the 2017 Time Out Sydney Bar Guide, hot off the presses.